Aaron Schneider’s Get Low is only now getting a wider release, and it’s about time. Beautifully filmed by David Boyd to evoke the Depression era, the film is a gentle, charming, funny, moving tale starring Robert Duvall is a hermit (on a fairly large tract of land) in self-imposed exile from his small town (and life, in general) who decides he wants to throw himself a funeral while he’s still around to see it. He has reasons for doing this, involving some past actions on his part and a growing sense of his own mortality. Plot developments aside, what really draws you into the film are the exquisite performances at the core. Duvall has played this kind of character before, but under Schneider’s direction, with the help of a fine script by Chris Provenzano and C. Gaby Mitchell, he finds fresh ways to exhibit the irascibility and fundamental decency of this wounded man. 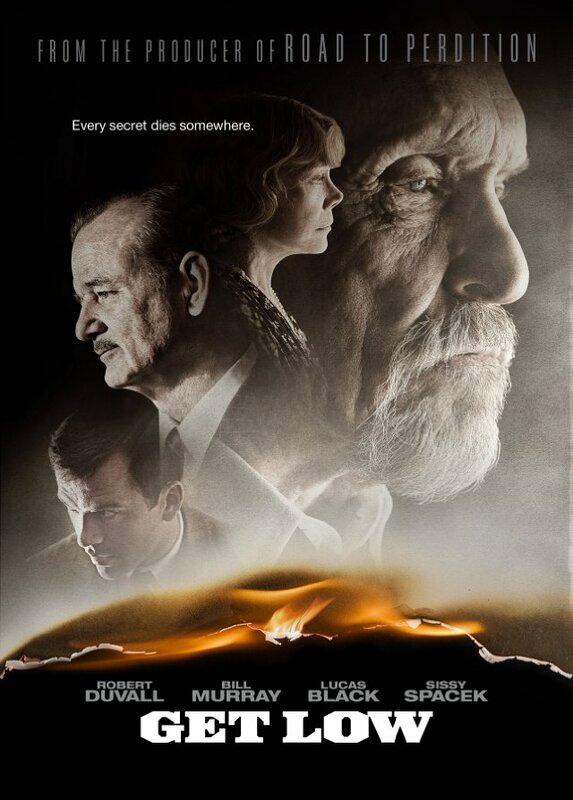 Bill Murray, as the funeral director who laments that there’s nobody dying in his town (while, as he puts it “they really know how to die in Chicago”) is funny and sympathetic as a man who wants to hold on to his business and sees Duvall’s funeral as his own lifeline. Lucas Black contributes some fine work as Murray’s sales assistant with a growing conscience, and there are other sterling contributions from Gerald McRaney as the town reverend and Bill Cobbs as another reverend and keeper of Duvall’s secrets. Finally, there’s the luminous Sissy Spacek, who is wonderful as Duvall’s old flame. In their scenes together, she projects warmth, humor, underlying resentment, compassion, and your heart just melts…at least mine did. When you see Duvall through her eyes, you see how high the stakes are for them both. Get Low is well worth seeking out; it’s one of the best films of the year.